Hello everyone! It’s that time of the week, again! Welcome to my personal pool…erm, sort of. The secret is that no one apparently wants to go to the pool at 10am on a Tuesday. Their loss is my gain! Not pictured is my sunscreen, which preceded my slathering on Maui Babe Browning Lotion. I apparently love coffee so much, I don’t mind smelling like it all day. With all this warm weather, I’ve been on a bit of a dress kick lately. I see the sun simply as an opportunity to wear as many of my lovely dresses as I can. And possibly contribute to my existing collection. I’ve order the above ballet-cut midi dress from the Gap earlier this week. They always have great sales, so keep your eyes peeled! I finally got to meet this little guy this week. 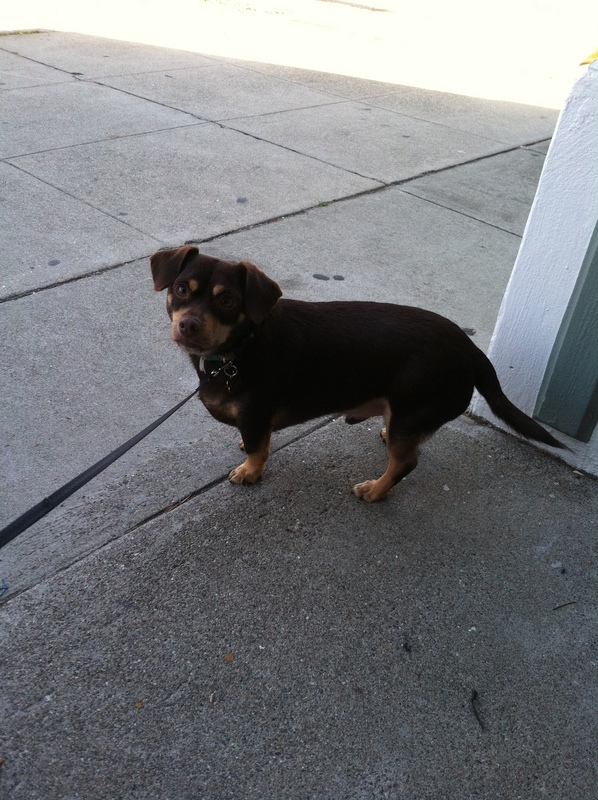 Although he’s only three years old, Theo is an old soul wrapped up in 17 pounds of Chiweenie. The kind of adorable that just wants you to admire him from afar, as he sits on his favorite person’s lap. A new restaurant has been discovered by yours truly: Trabocco. It’s delicious Italian, located in the most unassuming location in Alameda. 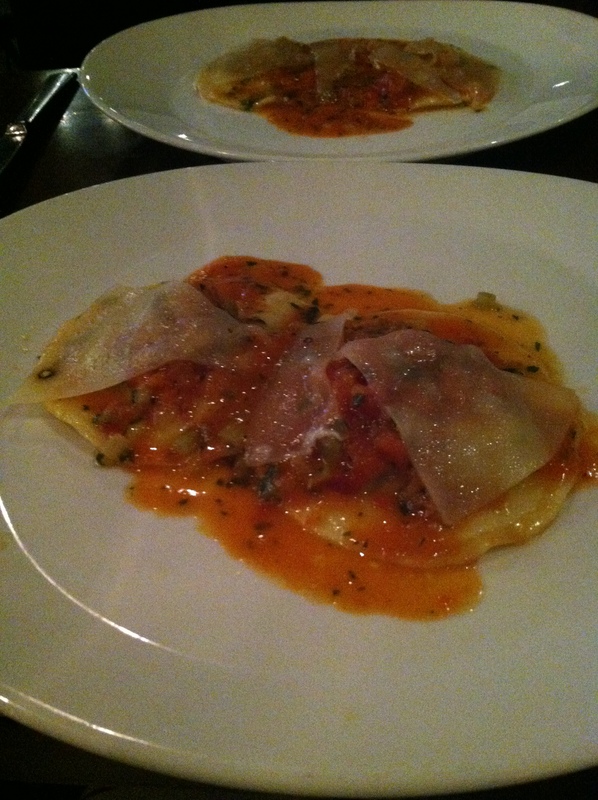 My girlfriend Sarah and I split a number of dishes- the one pictured above is the Ravioli con Coda, with braised oxtail and pecorino. 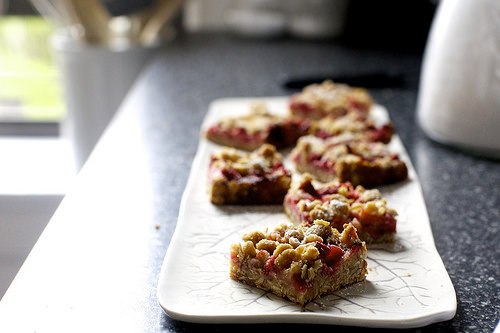 With this summer-y weather coming up, I can’t wait to make these amazing looking strawberry rhubarb crisp bars from Smitten Kitchen. It’s my go-to for recipes! I can’t believe it’s already Wednesday! Where is this week going? !